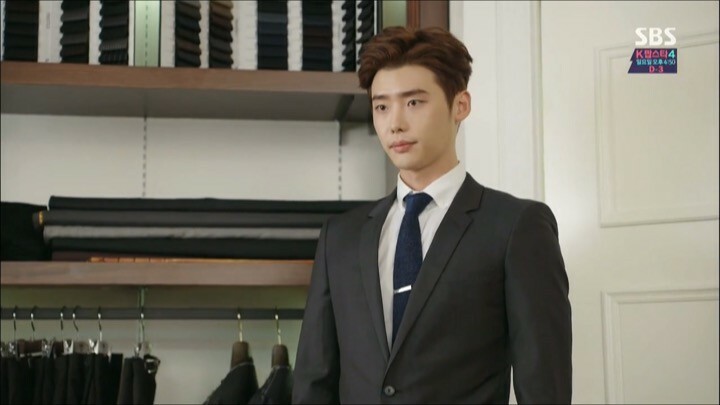 Pinocchio‘s got all the right ingredients for a promising Korean drama: a novel disorder that can naturally create conflicts, a cast of eye-candy actors who can actually act, and a classic revenge theme. At first glance, the drama seems to be centered around answering one key question that we’re all dying to know: can someone with Pinocchio Syndrome (telling lies causes hiccups) live normally in a world where deception is common? But to my pleasant surprise, Pinocchio contains far more depth than I had ever hoped for. It explores the tragic consequences of fabricating facts and serves as a sounding alarm to remind us not to be ignorant of the truth. The real question Pinocchio aims to answer is one asked by the main hero Ki Ha Myung: “if it’s a lie that can fool the entire world, can it be turned into the truth?” Through the eyes of our rookie reporters, we are taken along a thrilling journey in separating fact from fiction. Pinocchio contains far more depth than I had ever hoped for. What’s even more impressive is that the journey is a well planned one. Pinocchio‘s story development and sequence of events are meticulously thought-through. Each of the plot segments serves as a building block leading into the next one so it never feels like any episode is a meaningless filler or an afterthought. Pinocchio‘s characters, including many of the supporting ones, are equally well-written and non-conventional. With such great pacing, killer story, and charming character chemistry, I was wholly absorbed in the drama, unable to peel my eyes away even for a second. The prologue of Pinocchio has one job: setting up the main storyline and character relationships. And it’s a job well-done in successfully captivating my interest to find out more about these characters’ future developments. But first, let’s meet our heroes and learn about their backstories, in three different time lapses. 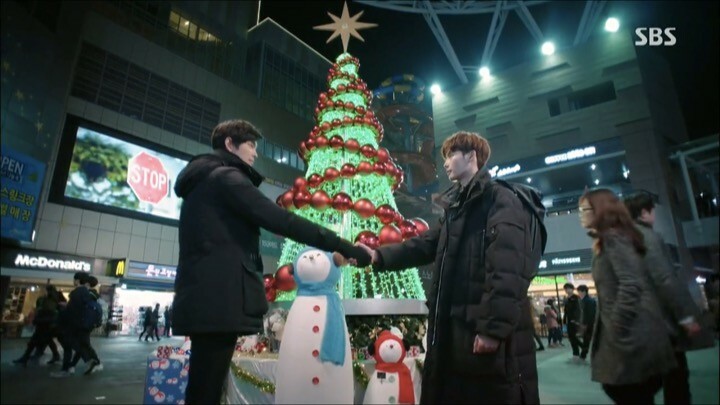 In the year 2000, Ki Ha Myung (Lee Jong Suk) is a bright young boy who lives happily with his family consisting of a respectable firefighter dad, a loving stay-at-home mom, and an equally intelligent older brother, Ki Jae Myung (Yoon Kyun Sang). But I was sad to see that tragedy soon finds itself at his door. While trying to rescue survivors in a factory explosion, Ha Myung’s dad went missing. The media, led by a sensationalist reporter, Song Cha Ok (Jin Kyung), heartlessly blamed Ha Myung’s dad for leading his men to die and evading responsibilities. Not able to cope with the finger-pointing, Ha Myung’s mom brings him along to commit suicide. To my relief, Ha Myung gets rescued by main heroine Choi In Ha’s (Park Shin Hye) grandpa, who mistakenly thinks Ha Myung is his long lost elder son Choi Dal Po. Thereafter, Ha Myung lives in disguise as country bumpkin Dal Po. 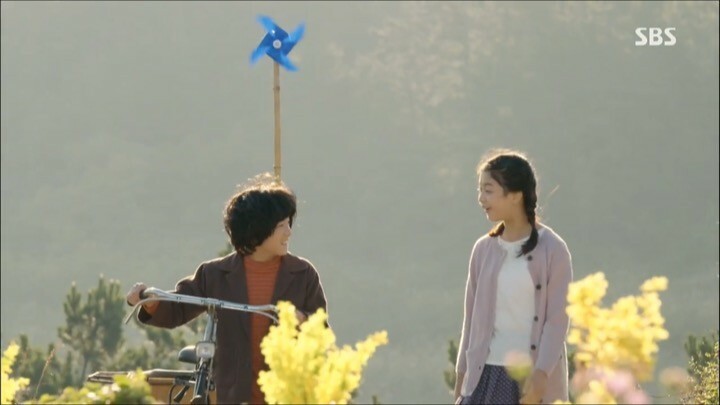 He quickly builds a close friendship with his similar aged “niece” In Ha, who is a cute straight-shooter with Pinocchio Syndrome and hiccups whenever she lies. Just then, we’re presented with a startling discovery that In Ha’s mom is none other than reporter Song — the woman who ruined Ha Myung’s family. Fast forward five years to 2005, I’m pleased to see a hint of sweet romantic interest between our leads. Teenage Dal Po bickers with In Ha constantly but is secretly very protective of her. In Ha also seems to genuinely care about Dal Po and defends his credibility in front of other classmates. But while Dal Po is aware of his feelings, In Ha remains clueless of her own heart. The lovable yet sassy In Ha is a welcomed departure from Park Shin Hye’s usual roles. Another eight years later in 2013, grown-up In Ha tries to become a reporter. But her dream is ruthlessly crushed by her mom who claims a Pinocchio who can’t lie could never be a reporter. 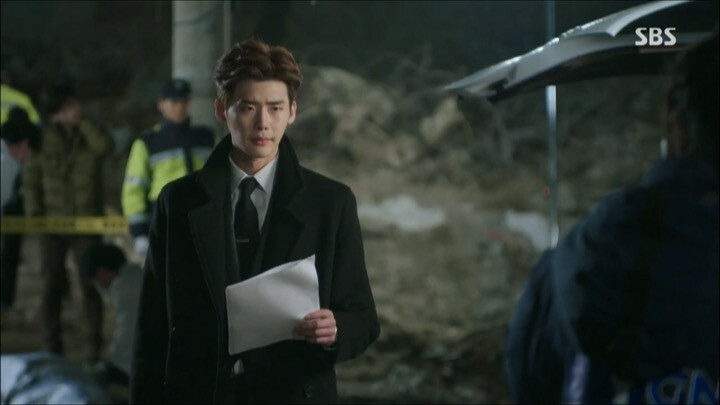 Seeing In Ha so devastated, Dal Po decides to become a reporter himself to prove reporter Song wrong and to reveal the truth behind his dad’s case. With the complicated backstories and relationships all set up, Pinocchio becomes more enticing than ever. Adding to the appeal of the drama is the amazing performance by Park Shin Hye in portraying the lovable yet sassy In Ha, a rare but much welcomed departure from her usual roles. 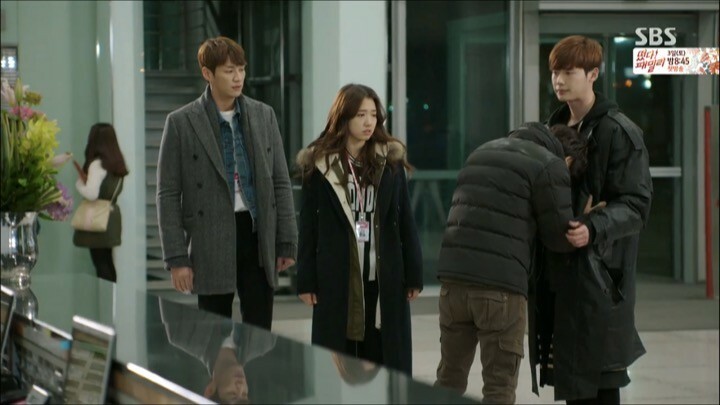 With In Ha and Ha Myung both aiming to become reporters, Pinocchio officially enters the second stage. In this important arc of the drama, the storyline grows on three exciting fronts: experiencing what it means to be a reporter, learning how to love, and sowing the seed of revenge. Along the way, there are many delightful moments like meeting quirky new colleagues, reuniting with trustworthy old friends, and finally getting rid of Dal Po’s hickish looks. With effort and a bit of luck, In Ha and Dal Po become intern reporters at rival news networks MSC and YGN respectively. 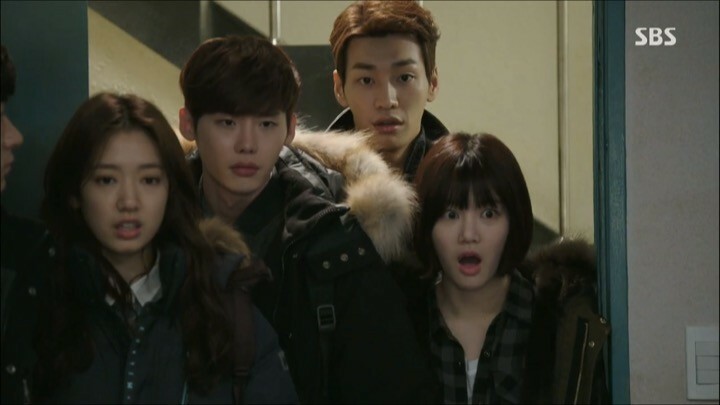 On their new jobs, they meet their wacky partners Seo Bum Jo (Kim Young Kwang) and Yoon Yu Rae (Lee Yu Bi). It turns out that Bum Jo is a second generation chaebol who grew interested in In Ha after inadvertently stalking her text messages. He became a reporter purely to meet In Ha. 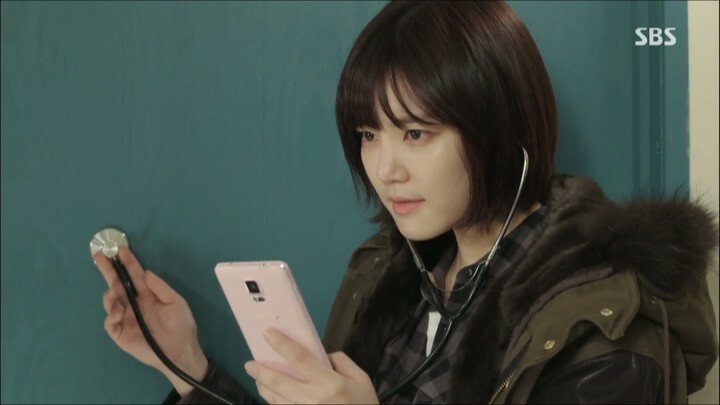 On the other hand, Yu Rae is an adorable oddball who uses her fangirl skills to spy, pry, and collect news. She gets assigned to be partners with Dal Po to compete for the same story that In Ha and Bum Jo are after. Very quickly, they learn how tough the job is while staking out at the police station to beg, steal, and eavesdrop on story leads while living like bums. The only ray of hope for Dal Po and In Ha is getting case intels from their old classmate Ahn Chan Soo (Lee Joo Seung), who is a detective at the same station. The drama’s comic yet convincing portrayal of reporters’ difficult lives gives me newfound respect for this profession. It’s also refreshing to see Bum Jo as a totally non-cliche chaebol character without ego, arrogance, and constantly throwing money around. Meanwhile, through Bum Jo’s prying, In Ha finally recognizes that she has romantic interest towards Dal Po. She couldn’t get rid of the hiccups from denying her feelings until she mustered up courage to confess to Dal Po. But not realizing Dal Po’s heart, she tells him to ignore her feelings and begins to avoid him out of awkwardness. It’s gratifying to see the love tension building towards a boiling point as they try to refrain from their feelings for each other to avoid compromising their familial relationship. And the eventual outbreak of their emotions does not disappoint as Dal Po passionately hugs In Ha after spending the night attending to her sickness. Developing in parallel of the heart-melting romance is the chilling revenge planned by Ha Myung’s brother Jae Myung. He carefully carries out his plans and gets rid of the people involved in his dad’s case one by one. Dal Po traces a missing person case that Chan Soo’s been keeping his eyes on, which leads him to meet Jae Myung. As Dal Po shakes Jae Myung’s hands in the final scene of episode seven, I too share his fear in finding out what he’s about to uncover. 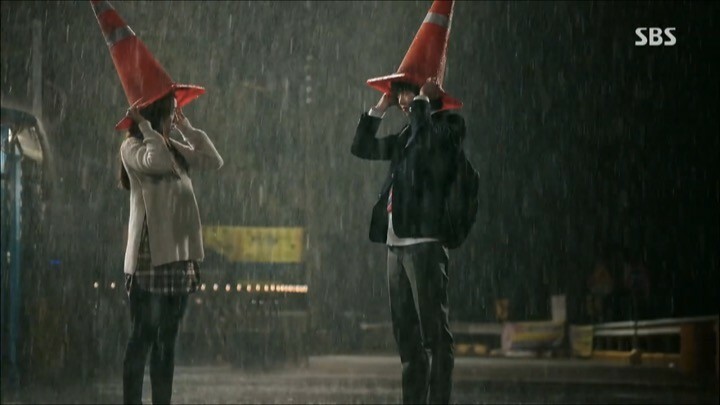 With Dal Po and In Ha’s loveline established so early on, I start to dread that Pinocchio will fill the remaining 12 episodes by slowly dragging things on. But it quickly proves my worry unnecessary. As Dal Po continues to dig into the case involving Jae Myung’s revenge, the intensity of the drama is pushed to greater heights, culminating into a new era I call “the return of Ki Ha Myung”. 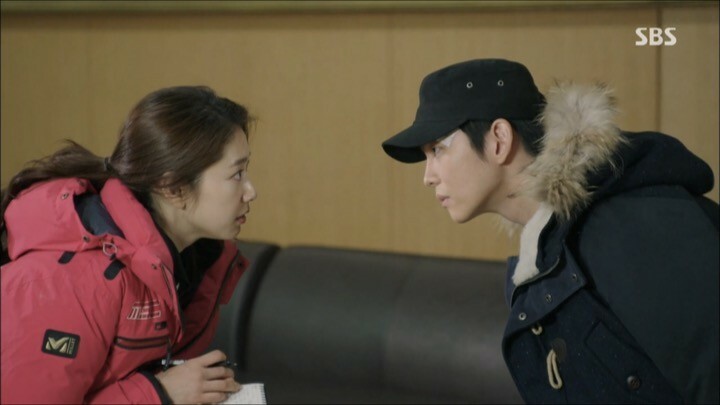 Coming off of the previous arc, Pinocchio continues to amplify the ominous atmosphere surrounding Jae Myung with great scripting and excellent acting. In a surprising turn of events, In Ha’s team accidentally captures Jae Myung saving a little boy from being run over by a truck. MSC News makes it a top story, turning Jae Myung into a national hero. Jae Myung uses this perfect opportunity to his advantage. He agrees to an exclusive interview with reporter Song with the goal of carrying out the final step of his revenge plan. Meanwhile, in researching Jae Myung’s background through news clips from 13 years ago, In Ha inadvertently finds out about Dal Po’s true identity and his relationship with Jae Myung. She is shocked to see her mom’s cruelty towards the Ki family. Upon overhearing In Ha’s detailed recount of the incident from 13 years ago, Jae Myung creepily stalks her to question why she knows so much. 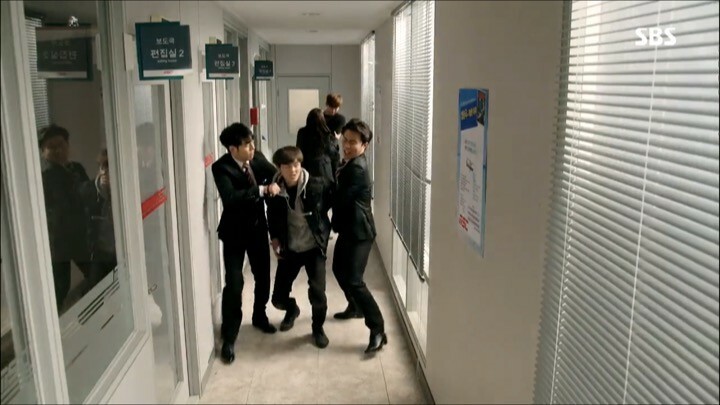 In an intense, nerve-wracking scene that had me holding my breath, Dal Po comes to In Ha’s rescue and finally reveals his identity to Jae Myung. Soon after reuniting, Dal Po is devastated to confirm his suspicions of what Jae Myung’s been up to. He spends the rest of his time convincing Jae Myung to stop his extreme revenge plans and agonizes over whether he should expose the truth. Dal Po’s pain and desperation is clearly felt by anyone watching the drama. Ultimately, Dal Po chooses the path less traveled. But he commits to Jae Myung that he will resume the revenge — by showing reporter Song what it means to be a real reporter. 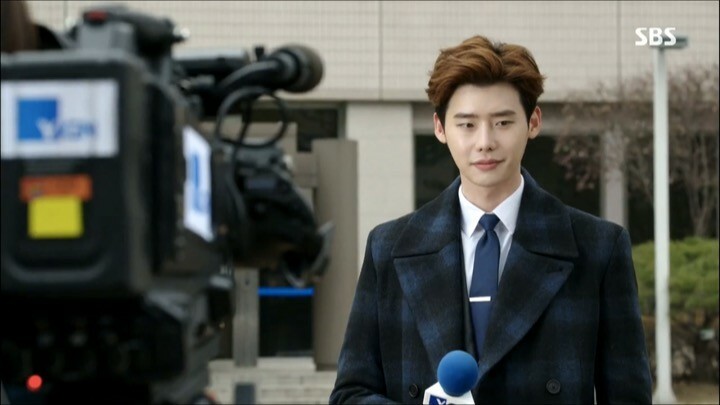 And so, with an unexpected twist and a newfound mission, Pinocchio enters an exciting new chapter — the debut of reporter Ki Ha Myung. 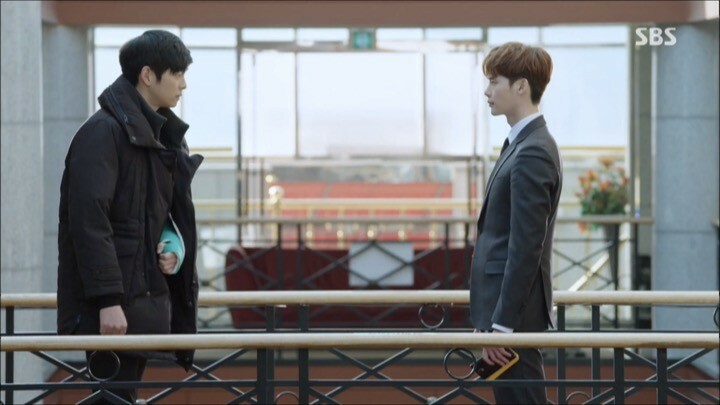 The pacing and intensity of Pinocchio calms down quite a bit after Jae Myung’s case wraps up. Nonetheless, new conflicts in the making are keeping things interesting for me. Ha Myung officially enters war with reporter Song while a bigger conspiracy gradually surfaces to the top. Entertaining supporting characters also make it easy to forgive the slower progress on key plot developments. The introduction of a deeper conspiracy is unexpected and thrilling at the same time. Reporter Song’s manipulative approach towards news is made known to the public through Jae Myung’s case and her reputation rapidly deteriorates. Ha Myung gets wind of a defamation case against her and frantically collects evidence in attempt to bring her down even further. But when things didn’t go as he had hoped for, Ha Myung faces the tough choice of personal vendetta versus divulging the truth yet again. Just when I feared he would make the wrong decision, I was gladly proven wrong. Shortly after, another factory explosion takes place and once again, reporter Song changes the flow of the story by directing the blame towards Chan Soo. The more our rookie reporters dig into it, the more they realize that the progress of events is shockingly similar to Ha Myung’s dad’s case. It’s almost as if someone behind a curtain is directing the same play, act by act. The introduction of a deeper conspiracy and a hidden culprit is unexpected and thrilling at the same time. It paves the perfect path leading towards the final showdown. 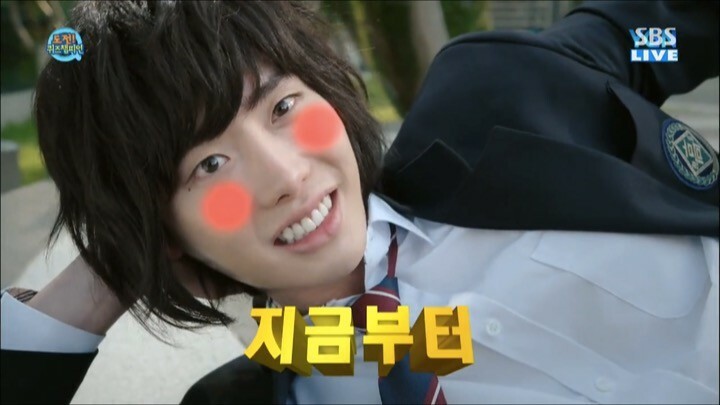 The last stage of Pinocchio regains much of the tension from earlier episodes as our heroes battle to expose the truth. The key factor keeping me entertained is not so much in answering the question of “who”, as that becomes clear rather quickly, but in the mind games used to unmask the slippery culprit. Through their relentless efforts, Ha Myung obtains proof exonerating Chan Soo and clears his name. Meanwhile, In Ha and Bum Jo uncover critical evidence that lead them right to the mastermind who’s been directing reporter Song like a puppet since 13 years ago. Yet each time our reporters try to go public with the story, their efforts are blocked and diverted — even their lives are threatened. For me, this resulted in countless fist-clenching and facepalming moments. Aaaah! We have a very similar take on this drama! Good job on this review! Please do a Descendants of the Sun review! Pleeease! Thank youu!